When Pokémon Go shot to instant global success and stormed its way into our lives, it was the first time many of us got to experience a different kind of game—one that integrates virtual elements with the physical world. But while the massive pop culture phenomenon was the first mainstream app to introduce the general public to the concept of fusing digital information with a live view of the real world, it is certainly not a pioneer. Augmented reality (AR) was first fully conceptualized by Boeing engineers Tom Caudell and David Mizell back in 1990. When asked to come up with a more cost-effective alternative to the expensive diagrams and marking devices they were using then to guide their airplane electricians through the manufacturing process, Caudell (who coined the term “augmented reality”) and Mizell came up with the idea of using a head-mounted apparatus that would display a plane's specific schematics through high-tech eyewear and superimpose them onto multipurpose, reusable boards. 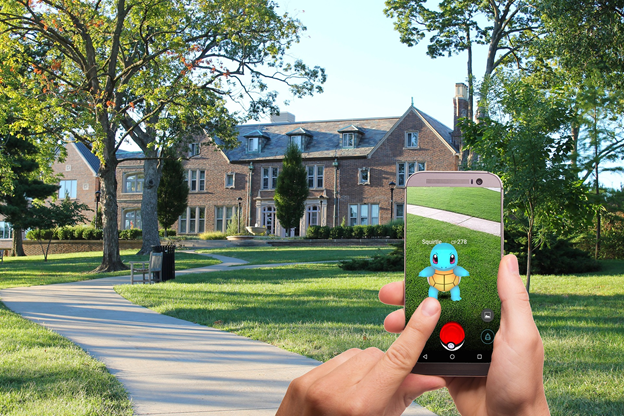 Despite the enormous potential for practical, real-world applications, it was not until Pokémon Go came around—and enslaved us all into wandering the streets everyday with our eyes glued to our smartphones—that people really started to take notice of AR. As we all know, Apple is one of the biggest players in the tech world—and if it is getting into AR, there is no doubt that this new kind of reality is about to become a part of our everyday lives. So what can we expect from this impending AR-filled future? Right now, AR apps remain mostly in the realm of gaming and fun photography filters. 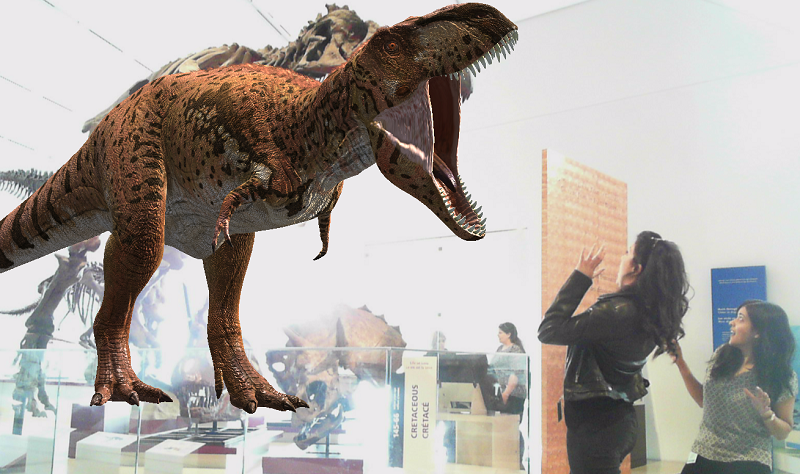 AR technology has also been used for educational purposes such as digital storytelling. But in the near future, we can most likely expect an abundance of practical new apps for solving the problems we face on a day-to-day basis. Imagine having your car break down in the middle of nowhere. There is no gas station or auto repair shop in sight, so you whip out your phone, open an app, and use your phone to visually diagnose the problem and have it guide you through the necessary repairs. It is not an impossible concept, and it is certainly not too far off given that there are already a few similar (but less sophisticated) tools and apps out on the market that are designed to help you diagnose and troubleshoot car issues. Or let’s say you are at the grocery store and you do not know how to discern which fruits and vegetables are underripe or overripe. With AR, you can just take your phone out and use an app to tell you which ones are the ripest! A number of AR smartphone apps out there offer practical solutions for our real-world problems, though they have yet to hit the mainstream and become integrated into the average individual’s daily life. But if the trends (and Tim Cook) are to be believed, the time will come when many of our basic, everyday problems can be solved just by whipping out a phone and firing up an AR app. Over the past few years, we have seen many tech companies put the focus on VR. Quite a few gadgets and devices on the market today offer the VR experience for educational, gaming, and entertainment purposes. Currently, smartphones are the only devices available to the general public when it comes to AR. But in the near foreseeable future, tech-savvy individuals will have a wide array of advanced VR devices to help them view and interact with an augmented version of the real world. While Apple has yet to reveal its own AR plans, other companies are already working on devices for mainstream consumers that are designed to provide a more immersive and high-tech way to experience AR. Microsoft is currently developing the HoloLens, which is supposed to offer a unique AR experience for gaming, entertainment, and possibly other applications. Earlier this year, Samsung was granted a patent for smart contact lenses, which is certainly something to look forward to and is the best way to fully integrate AR into our daily lives. Thanks to the immense popularity of Pokémon Go, companies are now racing to design, patent, create, and launch their own AR devices—so we can definitely expect a wave of highly advanced wearable and non-wearable tech that can help us all experience a new kind of reality.